The home will be located on Arbor Street in northern Fostoria. Weather and schedule permitting, the Fostoria Area Habitat for Humanity expects to have the ground breaking on July 28th of this year. Terry and Cynde went the extra mile in showing their desire to be considered as a family partner. The couple knew that each family partner is required to put at least 100 sweat equity hours of work into their habitat home. Immediately after they applied, Terry and Cynde started doing community service at the Fostoria Sharing Kitchen and are arranging to put volunteer hours in at the Fostoria Community Hospital. The Bemis family is excited to get started on their home. They plan to put more than the required hours in to make their dream a reality. 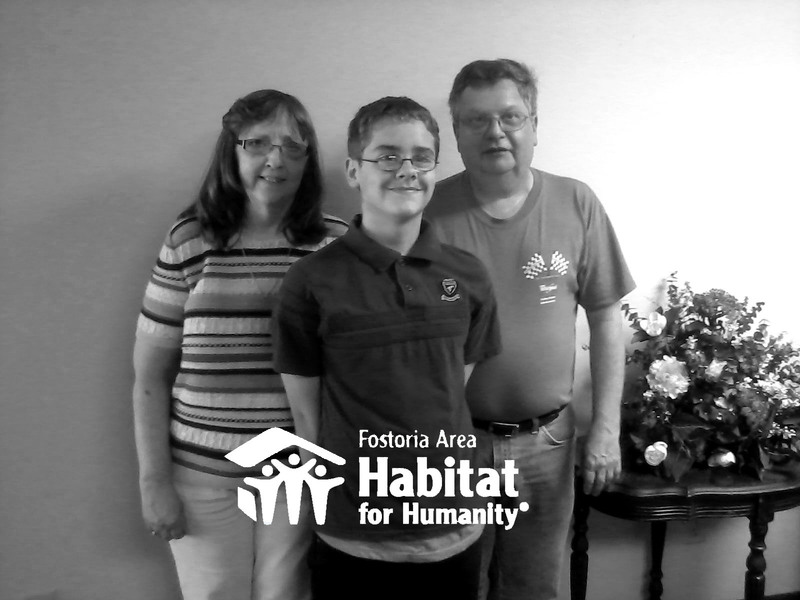 The Fostoria Area Habitat for Humanity is a United Way community partner that was founded in 1990. To date, 19 families totaling 95 people have been helped through the generosity and support of the people of Fostoria. Six new builds have been completed and 13 houses have been rehabilitated within the community. The agency continues to accept volunteers in many capacities. The current need is for lawn care on empty lots in town. Anyone with various construction or trade skills are encouraged to contact the local Habitat office. Local groups and clubs are welcome to rally their members for a day of work. Contact Becky Haaser at 419-435-2844 or email her at info@fostoriahabitat.com for details. Families wishing to be considered as a partner family should visit fostoriahabitat.com for the application procedure and guidelines.